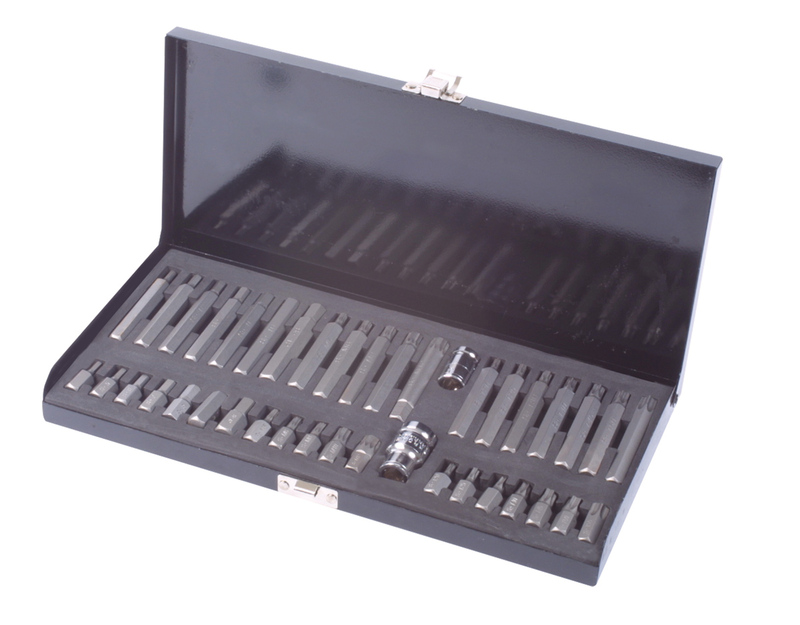 A 40pc bit set designed for the automotive engineer with Star, Spline and Hex bits. 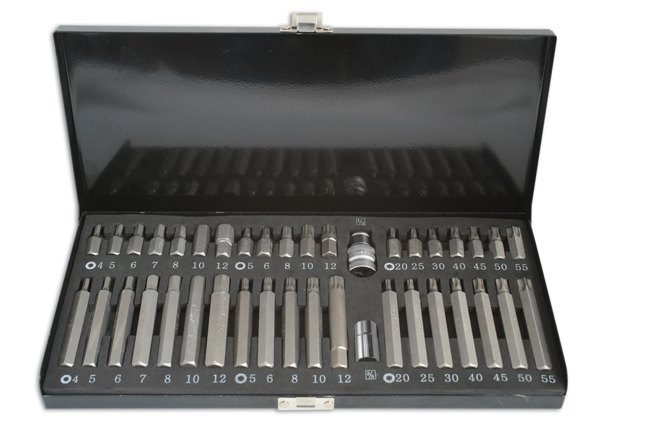 Includes 3/8"D and 1/2"D socket drivers: Star bits x 30mm T20 | T25 | T30 | T40 | T45 | T50 | T55, Star bits x 75mm T20 | T25 | T30 | T40 | T45 | T50 | T55, Spline bits x 30mm M5 | M6 | M8 | M10 | M12, Spline bits x 75mm M5 | M6 | M8 | M10 | M12, Hex bits x 30mm 4mm | 5mm | 6mm | 7mm | 8mm | 10mm | 12mm, Hex Bits x 75mm 4mm | 5mm | 6mm | 7mm | 8mm | 10mm | 12mm. Spare bits available. Complete with 2 adaptors 3/8"D & 1/2"D.
Includes 3/8" & 1/2" drive adaptors. Designed for the automotive engineer. 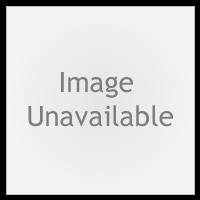 Complete in a metal storage case for easy selection.